We are in the midst of Spring Break. We really needed a low key week with little or no plans. Since I knew boredom would set in quickly, I decided to make it fun for the kids by saying YES to most of the things I usually say NO to. First up – Take a deep breath and go into this knowing that my patience will be tested, I will feel out of control, my house will look like a war zone and I will grin and bear it! Bed time – We’ve had no bed time this week. They’ve lasted until 10:30 each night. Play Dates – We’ve had them EVERY day. Sometimes more than one. Candy – Its whats for breakfast. Ok, well not really, but thanks to the Easter Bunny, we have much more than we’d ever have in the house. But when I see that chocolate egg going into a tiny mouth before 10am, I smile and look away quickly before that vein pops out in my head. Sleep overs– We’ve had three this week. I don’t usually have three in 6 months. But the kiddos had fun and thats what spring break is for, right? 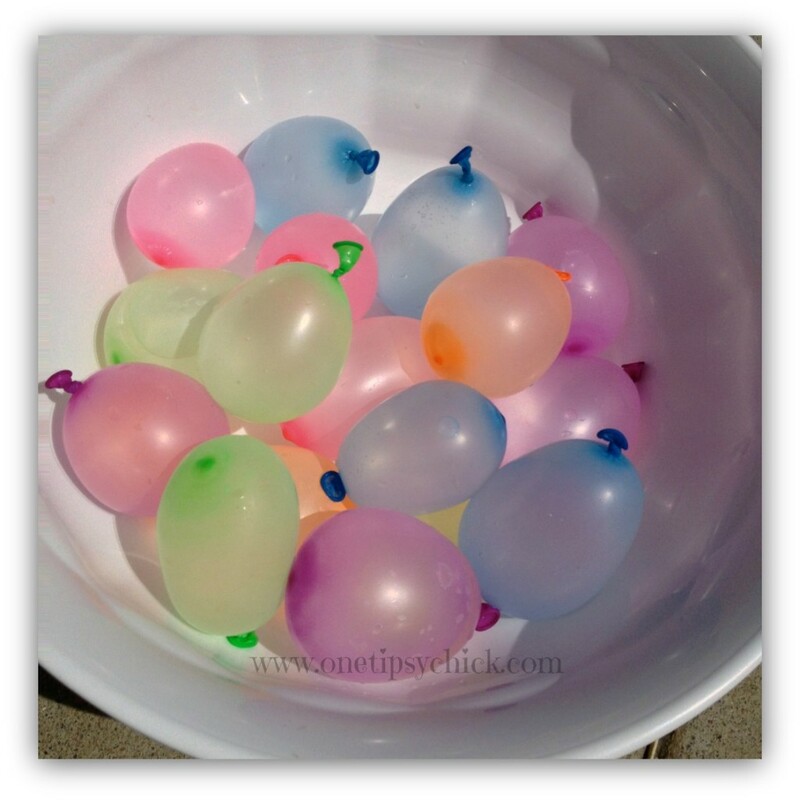 Water Balloon Fights – When I suggested it, I’m not sure who was more shocked – them or me??? Huge hit! This filled up about 2 hours of a play date. Spray Bottles – I picked a few up at the Dollar Store. After the water balloon fight, they made it rain in the yard, then sprayed the plants. Art Central – I gave up my dining room table for the week. 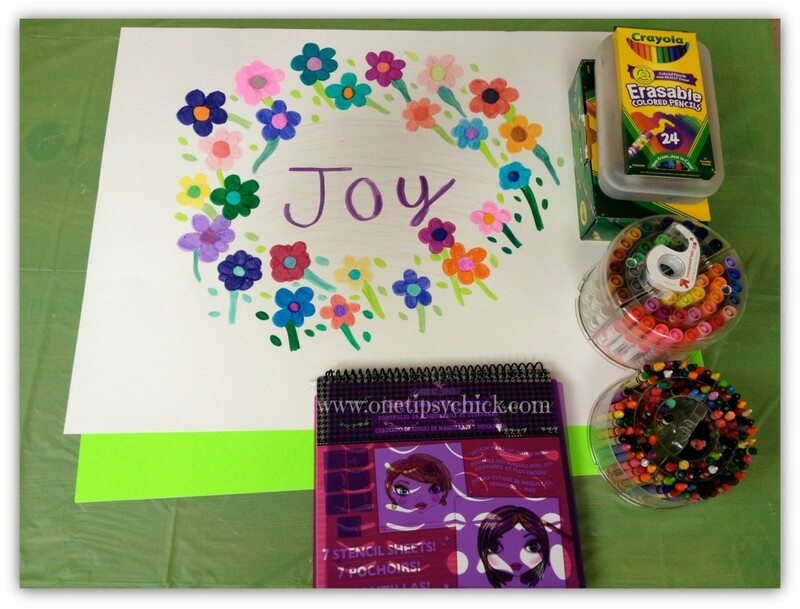 I used a Dollar Store plastic table cloth, brought out all the art supplies I could find and bought a stack of poster board. (2/$1 at DollarTree) They’ve spent so much time here this week, with friends and without. They love making posters and collages. Some are even a group effort. One was cut into a few puzzle pieces they could each keep a part of it. ahh so cute activities i can play with kids !